In Australia, we are fortunate to have access to business class cabins of an extremely high calibre, thanks to strong competition between Qantas and Virgin Australia. This competition is particularly fierce on transcontinental east-west routes, with both Qantas and Virgin Australia Business Class offering a travel experience of international standard. 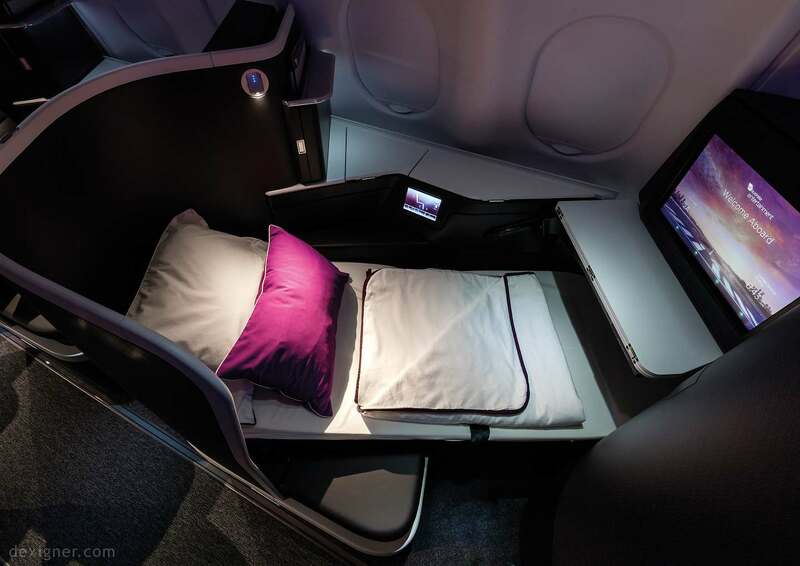 Virgin Australia business class upgrades on transcontinental flights start from 9,900 points for a flexible economy ticket. Outright Virgin Australia business class redemptions cost 35,500 points. Upgrades are well within reach if you have a stash of Velocity points sitting in your account waiting for a rainy day. My partner and I recently completed three Virgin Australia business class flights between Perth and Melbourne / Sydney. We flew at different times on the day and experienced both the 737-800 and the Airbus A330-200, where we flew in Virgin Australia The Business. Read on to find out how each business class flight stacked up. Our Perth to Melbourne 737 Virgin Australia business class flight was upgraded from fully flexible tickets for 9,900 points per person. On weekends and off-peak periods, Virgin Australia often operate their Boeing 737 on transcontinental routes. There are a few disadvantages with 737 Virgin Australia Business Class as opposed to the Virgin’s A330 ‘The Business’ on a longer domestic flight; the most significant being a reclining seat instead of a flat-bed suite. For this flight, I sat in Row 1, with adequate leg room. However, the downside is you have to store all bags in the overhead lockers during take-off and landing. 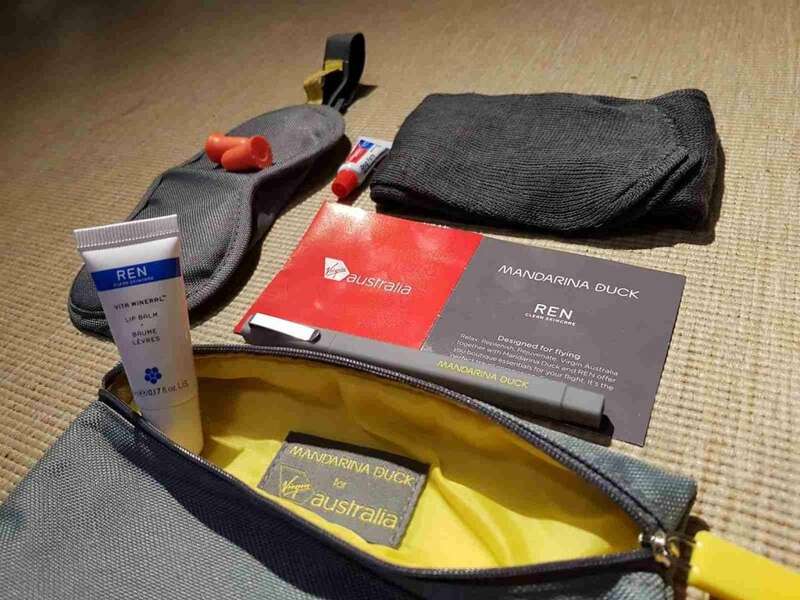 Upon boarding, the Virgin Australia crew presented business class passengers with a Mandarina Duck amenity kit. This was a surprise. (It didn’t happen on any of our other business class flights). Below is a cut-down version of the Virgin Australia business class amenity kit that you’d expect to get on Virgin’s long-haul international flights to Hong Kong and Los Angeles. There is no in-seat entertainment in Virgin 737 business class, only wireless streaming of content. A Samsung Galaxy tablet is provided. This is difficult to use during meal service. In terms of catering, Virgin Australia business class meals are served on a tray instead of being individually plated. One of the three meal options is typically not available due to the smaller galley. For our breakfast, we chose the natural muesli with coconut and strawberry, and the chorizo omelette with feta. The omelette was one of the best egg dishes I’ve ever had in the air. This wasn’t surprising -Virgin Australia domestic business class dining is generally of a very high standard. However, while the natural muesli was presented well, unfortunately it was quite dry and difficult to eat, even with milk. We enjoyed our Virgin Australia 737 business class flight, but for the same points, you can get a vastly better experience flying A330 Virgin business class (named ‘The Business) as you’ll see below. At a cost of just 9,900 points per person to upgrade from flexible economy, our points outlay to fly Virgin Australia’s The Business represented excellent value. The Airbus A330 features twenty Virgin Australia business class ‘suites’ arranged in a 1-2-1 layout. 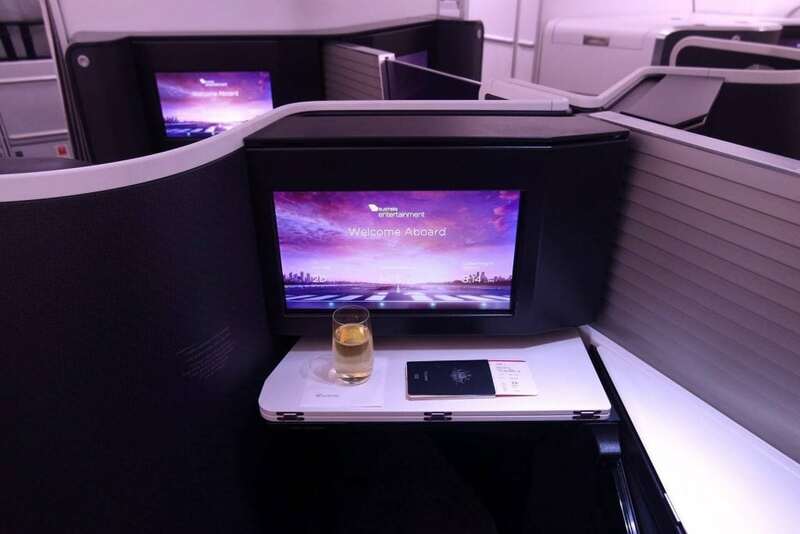 The A330 Virgin business class suites are considerably better than some other airlines’ international Business Class (Qantas A380 business class comes to mind!). The A330 suites feature ample storage space, a huge screen and the ability to convert into a fully flat-bed. My partner and I picked middle seats as it’s easier to talk and share food together. Virgin Australia’s transcontinental Airbus A330 flights departing after 9.30 am feature a three course lunch or dinner service. With a departure time of 9:15am, we just missed out and were served a business class breakfast menu again. The crew set our table with crisp linen, and very cute Sydney Opera House salt/pepper shakers. Breakfast started with a pastry, fruit salad and yoghurt. For the main course we chose the Boston beans with pork sausage, and fruit toast with pineapple and yoghurt. Having been awake since 4am, we then gratefully snuggled into our doonas and caught up on sleep the rest of the way to Perth. If you have the opportunity to experience Virgin Australia’s Airbus A330 business class, an upgrade for 9,900 points is a no-brainer. Consider opting for a flight after 9:30am to avoid breakfast and get a more exciting dining experience! As a stand-alone flight, we purchased this ticket outright for 35,500 points and $20 in taxes per person. If you were upgrading from an economy fare, the rate would still be the standard 9,900 points from flexible economy, or 30,000 points from discount economy. We were really looking forward to this flight, as it was nearly an hour longer than the previous one. 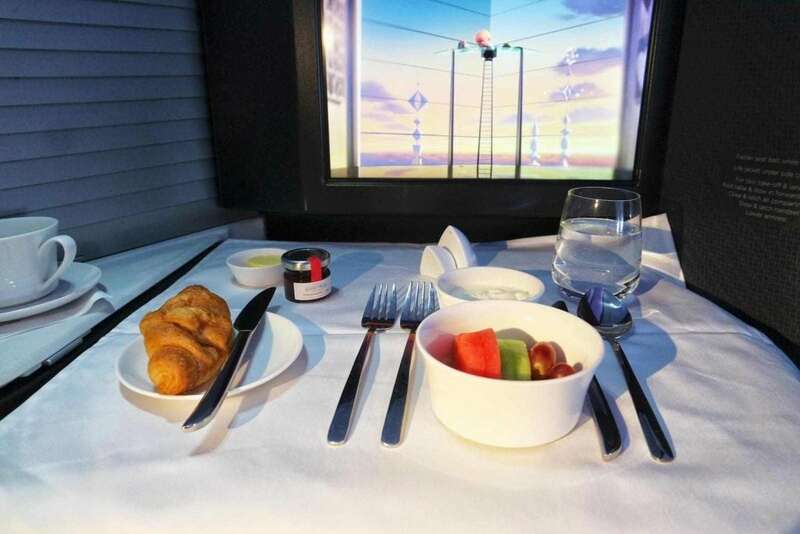 As it was a dinner flight, we’d be able to indulge in a Virgin business class three course meal. The seats and onboard experience was generally the same as before, so let’s jump straight to the food. The friendly Virgin business class crew commenced service with the menu, mixed nuts and drinks. We tried each of the starters – prosciutto with fennel remoulade, and Spanish tomato soup. For mains, we chose the petuna ocean trout and the red duck curry. To finish, we were presented with an incredibly satisfying passionfruit panna cotta and cheese plate. We were impressed by this restaurant-level dining on a domestic flight. The service on this flight was professional too, with the cabin crew being friendly, discreet and efficient. This was our favourite Business Class experience by far. In general, flying Virgin Australia business class grants you priority check-in at the airport, priority luggage tags so you can get your bags quicker. You’ll also enjoy priority security screening, lounge access, and priority boarding at the gate. In many cases, we were arriving at check-in to reaching the lounge in mere minutes. Sydney (and Brisbane) benefit from Virgin Australia Premium Entry. This is is a private entrance and security line that leads straight into the lounge. It is definitely one of our favourite perks. Virgin Australia Business Class lounge is accessible to business class passengers before the flight and on arrival, subject to capacity. 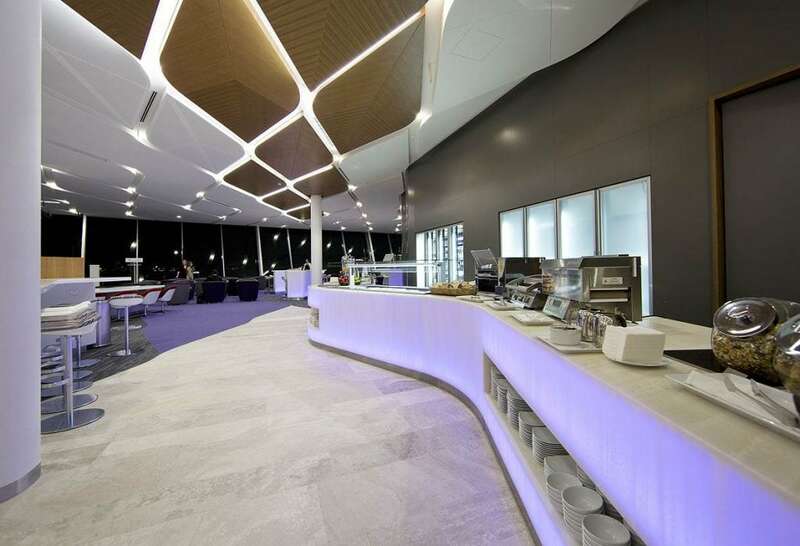 All Virgin Australia business class lounges offer a barista bar for great coffee during the day, and the main bar opens from midday serving a range of wines and beers. Food is of a similar standard across all Virgin Australia lounges – there’s always a sandwich and salad bar. During breakfast, you’ll find pancakes and daily specials such as a cheese and onion frittata. During lunch and dinner periods on weekdays, the Lounge might be more substantial offerings such as soups and pastries. 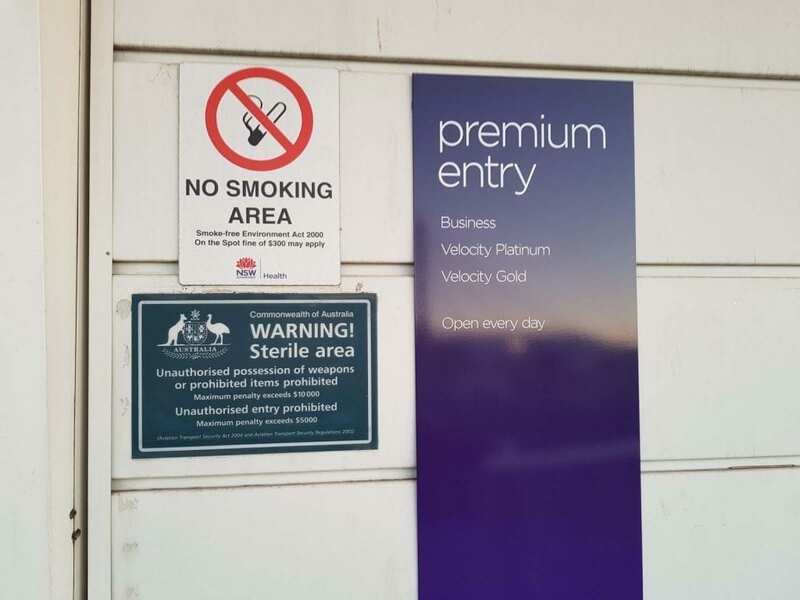 Below, you’ll find a picture of breakfast as served in the Melbourne Virgin Australia Lounge, and dinner in the Sydney Virgin Australia Lounge. A visit to the Virgin Australia Lounge is certainly not a bad way to start off your flight! There’s no denying Virgin Australia has really stepped up its game with transcontinental Business Class. If you book the most expensive flexible economy fares, the 9,900 point upgrade rate for transcontinental flights represents excellent value for a jaunt in Virgin Australia’s A330 business class. Most travellers will likely be on discount economy fares, where the upgrade rate of 30,000 points is not as attractive. Contemplate an outright Virgin business class redemption for 35,500 points (plus taxes), and save your cash for the holiday. Unfortunately for domestic travellers, Virgin Australia’s A330 is expected to be moved onto international routes (mainly Asia) within the next few years. As a result, availability on domestic flights is getting scarcer. However, Virgin Australia has also announced they will be launching a new Boeing 737 Business Class specifically for transcontinental flights. Hopefully a future Virgin Australia 737 business class product will be a better onboard experience than what is currently available. It’s surprisingly easy to pick up Velocity points to fly Virgin Australia business class – even if you don’t fly often. Especially relevant is The Champagne Mile’s post on six ways to boost your Velocity points balance here.